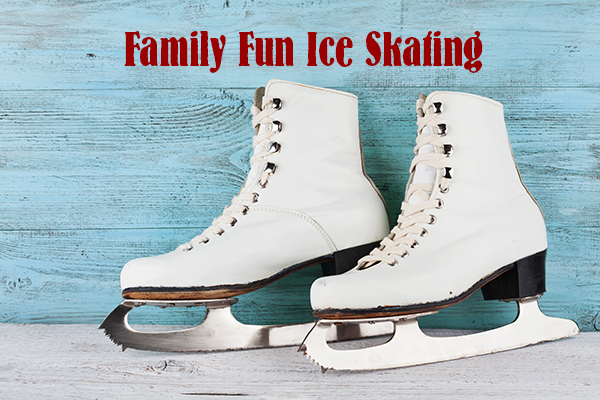 Ice skating is fun for the whole family and there are 2 nearby options to discover and enjoy. Winter is fast approaching and it’s the perfect time to sneak some fun physical activity into your winter routine. With indoor and outdoor rink options available, any day of winter is a great day to go! Vacaville Ice Sports is equipped with two indoor NHL sized ice rinks that are available year round. From public ice skating sessions to figure skating or hockey, there are many programs to fit your needs. For information on skating specials, holiday events and birthday parties, visit their website at vacavilleicesport.com or call (707) 455-0255. Vacaville Ice Sports is located at 551 Davis Street. Not too far from home and opening November 3rd, the Downtown Sacramento Ice Rink is located in the heart of the city at the doorstep of the Golden 1 Center in St. Rose of Lima Park. The seasonal landmark is transformed into a winter wonderland enjoyed by adults and children of all ages through January. Skate and locker rentals are available and the rink is open for group reservations, birthday parties, school field trips, office parties, or charity events. The rink is located at 701 K Street, Sacramento. For more information, go to GoDowntownSac.com or call (916) 442-8575.